Yes, it’s true. More and more watch sellers are inclining towards cardboard watch boxes rather than wood boxes finished with leather or velvet. Packaging boxes are a necessity for watches as these are for other products. But you might be hesitant about cardboard boxes so let’s clear your confusions about this particular material. As we have discussed in previous article that costs of packaging boxes are very important when you want to make a hefty profit from your merchandise. And cardboard is a material that costs much lower than other materials(leather,wood) used in standard watch boxes. Hence, it brings your packaging costs to minimum level and brings your profit ratio to highest. 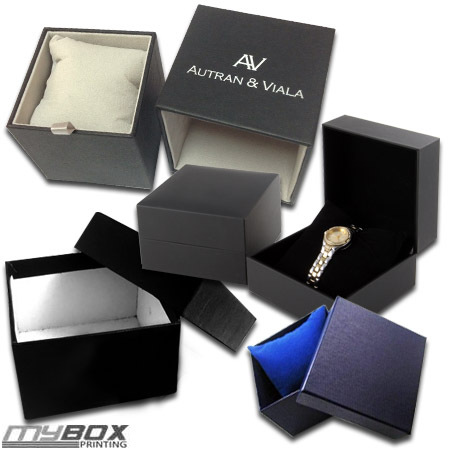 Most watch boxes on the market are made to hold watches measuring from 20mm-40mm in diameter. So cardboard boxes made with 350 GSM paper can easily hold them. We have announced a 10% discount offer for Christmas. So If you want to get avail this offer and ensure that you receive your shipment before Christmas, contact us today using our request a quote form.